Nathan and Ada will guide us through a sound meditation with healing instruments, vocals, and mantra. They will also share original folk songs and stories of connection and love as well as tension and struggle, all in sweet harmony. 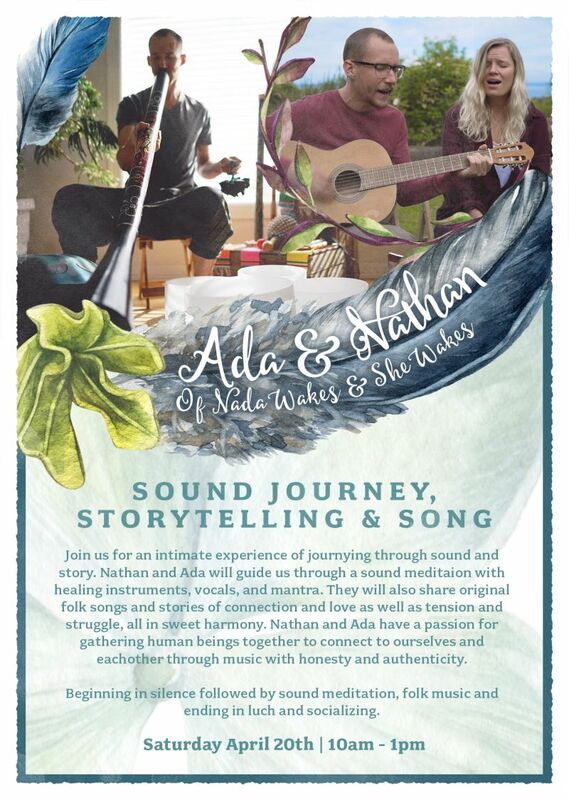 Nathan and Ada have a passion for gathering human beings together to connect to ourselves and each other through music with honesty and authenticity. Beginning with lunch, followed by silence and sound meditation, folk music and ending in socializing.